Founded in 1966, Galerie Daniel Templon recently celebrated its 40th anniversary. With over 400 exhibitions by approximately 300 artists, the gallery counts as one of the most renown art galleries in France. 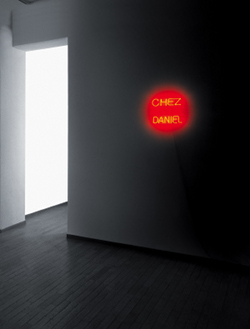 Daniel Templon established his reputation by showing many international artists now part of art history, including Andy Warhol, Roy Lichtenstein, Robert Rauschenberg, Jean-Michel Basquiat, Willem de Kooning, Frank Stella, Julian Schnabel, Helmut Newton and Richard Serra, among many others. The gallery represents all generations and the program creates a dialogue between historical or established artists such as Larry Bell, Anthony Caro or Jim Dine and the experiences of younger or emerging artists such as James Casebere, Oda Jaune, Ulrich Lamsfuss, Jonathan Meese and Iván Navarro. In June 2007, the gallery opened a second space Impasse Beaubourg, in Paris.